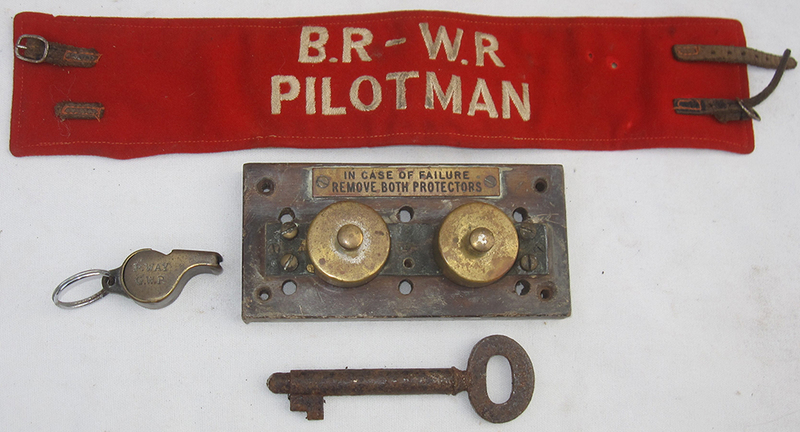 A Lot Containing BR-WR Pilotmans Arm Band. A GWR P Way Whistle. A BR-W Signal Box Key And A GWR Signal Box Lightning Arrestor Mounted Onto Wood With Brass Plate In Case Of Failure. 4 Items.